Christmas is just around the corner; and that means intense competition among brands and retailers for dwindling high street spend. The question remains: how can you gain and maintain an edge over your competitors? 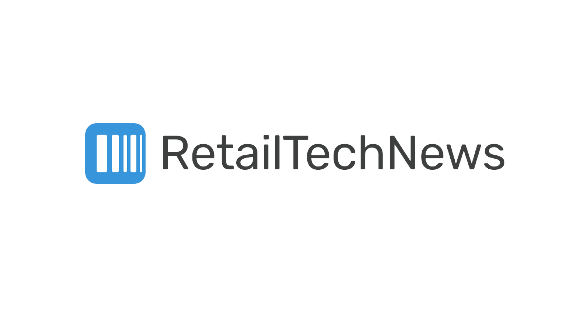 Here, Diane Perlman, CMO, Blis, tells RetailTechNews that in the data-driven era and the always-online consumer, marketers have to leverage a better understanding of customer profiles as a strategic tool to drive footfall. When SEO and location data come together, marketers are in for a Christmas treat. Around 14 million shoppers hit the streets on 23 December last Christmas. Many more will be visiting stores in the weeks leading up to Christmas, as well as the holiday sales this year. And with the growth of time spent browsing, consumers are increasingly searching for products and stores online through ‘near me’ searches. As many as 82% of shoppers have used this term to find nearby retailers. Bearing in mind the need for real-world experiences in an era of instant gratification, ‘near me’ searching is the logical step for consumers. Shopping in-store takes time out of the day – why not find the nearest store to you at any given moment? Whether at home, on your way back from work, or just out and about, a ‘near me’ search can save you valuable time to get that last-minute Christmas gift before you forget. Convenience is at the forefront of the modern consumer’s mind – and marketers need to take this on board. But if the me-now consumer longs for convenience, what does this all mean for customer loyalty? The rise of the promiscuous shopper is certainly something to be aware of. With so much choice, retail is increasingly succumbing to the Tinder-effect. Discount supermarkets are the epitome of shopper promiscuity. The growth of discount retailers such as Aldi and Lidl has challenged the dominance of the Big Four supermarkets. Our own data has confirmed that supermarket shoppers can certainly be seduced by the arrival of new discounters. Of course, these shoppers may just have been curious. But Christmas gift ideas span the entire range of products, from essentials (like food and toiletries) to luxury products alike. Generally speaking, loyalty can’t be relied upon, as retailers of all walks are competing at Christmas. Successful SEO, placing your brand at the top of ‘near me’ searches, must go hand in hand with data accuracy. Google ‘near me’ searches only work when location data is accurate – search results need to be accurate so that consumers don’t think the location is too far away, or they won’t go there. Location data can also help you work out whether a customer is truly loyal or not. Location can help reveal whether a device that shows up at one retailer also shows up at another one – and also whether this is a one-off based on convenience, or whether your customer is ‘cheating’ on you long-term. And remember, the fact that someone has visited your store, doesn’t necessarily mean they are your shopper. Layering of data helps give you a stronger profile of the consumer: first-, second- and third-party data sources will give you the competitive edge for profiling customers. Of course, in the GDPR era, this data must be compliant with EU regulation, so consumers will need to have opted in and provided their consent. Once consent has been obtained, footfall data will also help show insights about customers’ purchase journey. Namely it will reveal which retailers they prefer, how far they are willing to travel, and even how long they spend in supermarkets, amongst other things. This should feed into your targeting strategy, so that you are adapting advertising to respect these data profiles. The creative, context in which it is served, time of day, device, and product offers, can all be optimised towards the shopper to give you the edge to drive footfall. As the holidays approach, think about what online and offline mean for consumers’ shopping habits today, and adapt your marketing strategy accordingly. Make sure your SEO is on-point, and consider how data can help you paint a clearer picture of your customers’ loyalty. And remember: ‘near me’ searches could just be the secret weapon for marketers this Christmas.